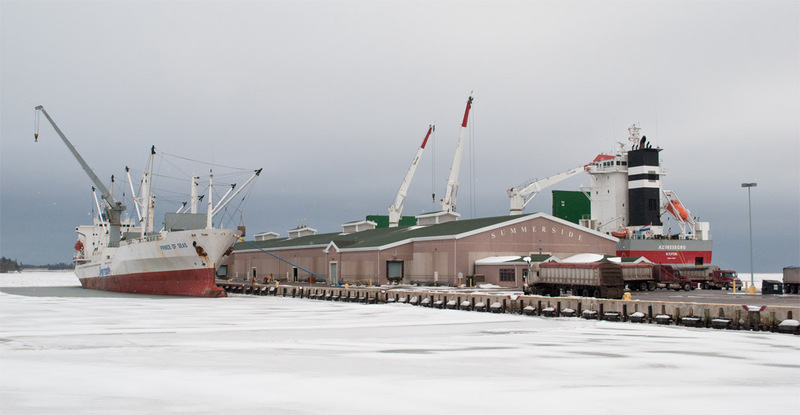 A Busy Time at the Port | Summerside Port Corporation Inc. The Fall of 2016 has proven to be a busy season for the Port of Summerside. Since the beginning of October, there has been a ship at port almost every day. The latter part of December even provided an uncommon view of 2 ships berthed at the Port of Summerside at the same time! The Prince of Seas takes on a load of potatoes for shipment to Venezuela, while the Azoresborg offloads fertilizer destined for PEI farms to nourish next year’s crops.